When Ben has a load of landscaping stones delivered, Kat seemingly has a sixth sense about some of the stones. Will danger draw them together or pull them apart especially when Kat has trouble acknowledging that she has a sixth sense? 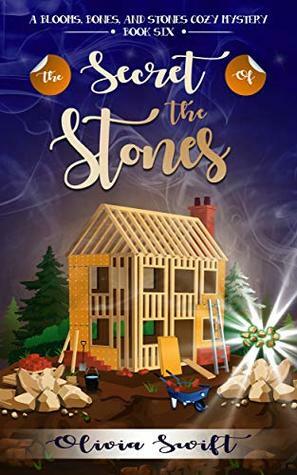 The Secret of the Stones by Olivia Swift is an interesting mystery. A man is getting set to build and his stones have a dark history behind them. Kat senses this and together with their friends they find out the answers. There is a romantic interest happening between Kat and Ben. It was told in a way that excited me but still kept it clean. Kat is by far my favorite character. I loved her personality. It felt like I knew her for years. She has a knack for peaking my curiosity. Just when something is found, there’s more than beats the eyes. I enjoyed the suspense and intrigue. Overall, I would recommend this novel to all readers.